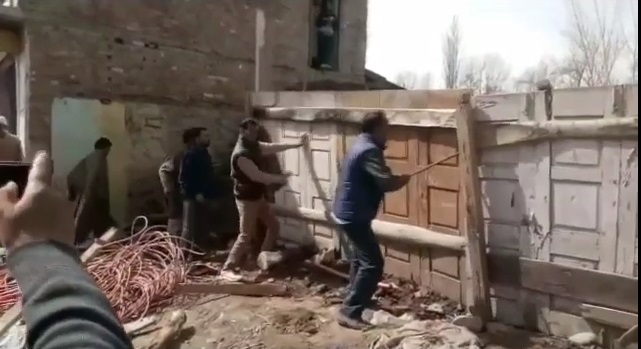 Bandipora Municipal Committee conducted a demolition drive at Kuloosa area of Bandipora on Wednesday. An official said that a two storey structure and a wooden shop were demolished by the team which were raised illegally by some unscrupulous elements while taking advantage of the prevailing situation. Municipal Committee officials said that people have been requested to do away with the illegal constructions and obtain building permission before taking up any constructions.